Anti-Idling signs measure 12" x 18". Please call (860) 424-3555 or e-mail deep.store@ct.gov if you are tax exempt or need to use a purchase order. Connecticut regulations prohibit vehicles of all kinds from unnecessary idling for more than three minutes. DEEP's goal is to achieve idling reduction through voluntary compliance. However, violations are subject to enforcement action. 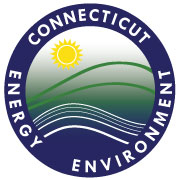 DEEP's Air Management field staff work to ensure compliance with Connecticut's idling restriction by monitoring vehicle behavior at rest areas, schools, truck stops and at commercial delivery points, and pursuing enforcement when idling violations are observed.